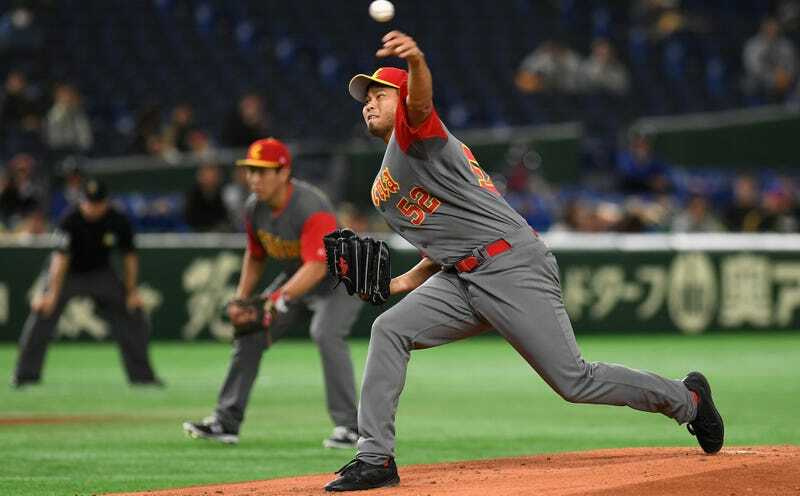 Bruce Chen, 17-year MLB vet who currently works for the Indians, is pitching for China at the World Baseball Classic right now. He’s only 39 years old, but he is pitching in some cleats that look like something your cousin lends you for your first job interview. I am literally unsure of what these are. Here is another picture of THOOOOSE. I’m thrilled Chen to get a chance to toss against Cuba and little Yoelqui Cespedes, I just hope he doesn’t slip and fall trying to throw some heat.